If your house is drafty in the winter and stuffy in the summer, that’s a sign you’re wasting energy—and money. HomeAdvance puts that wasted money to better use. You're not alone—90% of American homes are improperly sealed and insulated. By using our Comfort Plan, you can get a better home with money you’re otherwise wasting on your utility bills. Live safer and more comfortably. Put the space heaters away for good. Sealed upgrades will keep you warm in the winter and cool in the summer, and balance the temperatures in every room. 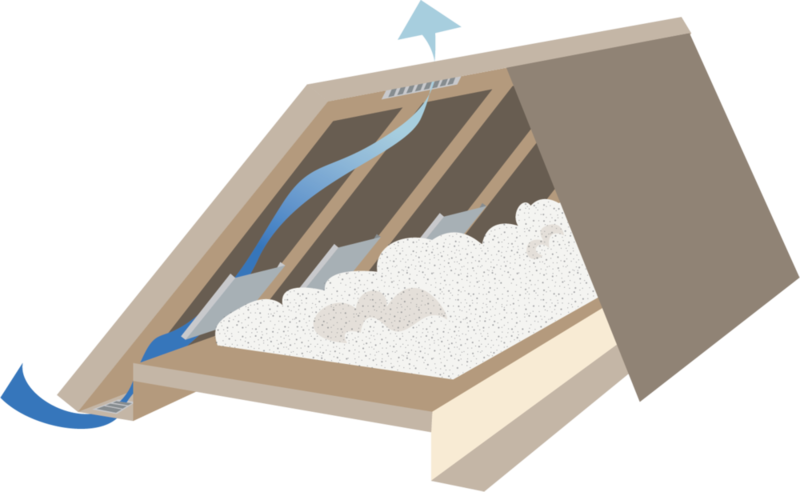 You’ll breathe easier with proper ventilation of moisture, dust, and other allergens. Buildings account for 40% of greenhouse gasses. With Sealed upgrades, you can help protect the environment and reverse climate change. We’ll close the gaps around windows and doors that create drafts in the winter, and make your house stuffy in the summer. A typical house has many small gaps between the foundation and house frame. Insulating this area helps eliminate the cold air drafts that flow through these gaps and into your home. LEDs have the same warm glow as regular bulbs, they’re dimmable, and they use 90% less energy. *A one-time processing payment may be required. Eligibility restrictions apply—customers qualify for the program based on credit score, historical energy usage levels, home and project characteristics. Customers who do not meet the eligibility requirements may qualify for the program with an up-front or monthly financial contribution. Ready to get the HomeAdvance Comfort Plan? The first step is a 15-30 minute call with one of our specialists. On this call, a specialist will determine the sources of drafts and discomfort in your home, discuss potential solutions, and go into detail about the HomeAdvance program.